Prominent & Leading Manufacturer from Pune, we offer 17 cbm automatic aac plant, 30 cbm automatic aac lightweight block making plant, 10 cbm automatic aac plant, 50 cbm automatic aac plant, 75 cbm automatic aac plant and 100 cbm automatic aac plant. We are engaged in offering 17 CBM Automatic AAC Plant to our customers. We are offering 30 CBM Automatic AAC Lightweight Block Making Plant. It is designed for manufacturing AAC Blocks. We not only supply the AAC Plant, but also assist you to install and run the machines. We also provide technical training in preparing the optimum mix design to suit the available raw materials in overall India. 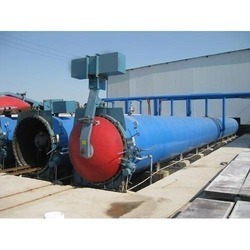 We are engaged in offering 10 CBM Automatic AAC Plant. 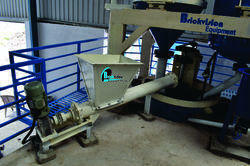 We are engaged in offering 50 CBM Automatic AAC Plant. We are engaged in offering 75 CBM Automatic AAC Plant. We are engaged in offering 100 CBM Automatic AAC Plant.